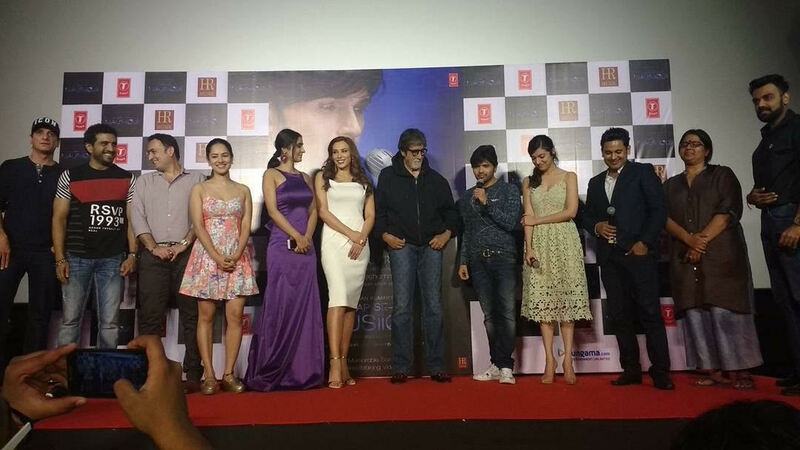 Amitabh Bachchan launches Himesh Reshammiya’s Aap Se Mausiiquii album! Monday 5th December saw the release of the multi-talented Himesh Reshammiya’s highly awaited second private album, Aap Se Mausiiquii (My Music is Because of You). The album released at a grand event in Mumbai, and megastar Amitabh Bachchan graced the event and launched the album for Himesh and his team. Lyricist of the album Manoj Muntashir arrived at the event with Himesh, while the music videos leading ladies Puja Banerjee and Alankrita Sahai also attended. Good friend of Salman Khan Lulia Vantur, was also present as was Divya Khosla Kumar wife of T-Series head honcho Bhushan Kumar. 16 queries in 0.636 seconds.